Written by Joseph Gallenberger, Ph.D. It took awhile but I think that I have moved from being a rescuer to an inspirer—and it feels really good to have done so! This letting go of the need to rescue has unleashed terrific creativity, helped me to be in touch with wise guidance and support, and allowed me to discover tools of consciousness that invite a living into full potential. One of my first steps was to make efforts to understand how such an event as Pete’s suicide could happen. My thoughts on this can be summarized by, “It is not enough to be a good person, talented, and hard-working for good things to happen and be created around you. You must also experi­ence self-love, trust in the lovingness of consciousness despite external events, and feel deserving of goodness.” It is obvious that this stance can be highly challenging to develop and maintain given messages to the contrary and the massive amount of fear and stress that exists in our families, community, and culture. Is it likely for most of us that past life, early childhood, and then community experiences all generate doubts and self-imposed limits that cloud our ability to see that we can be a successful creator of a terrific life. Further, such experiences cause us to question our own lovability and the goodness of the universe. I wondered how we could most reli­ably dissipate these illusions that drag down our energy. Much of my training as a psychologist and psychotherapist was designed to help find and ameliorate psychological damage. It was not designed to launch a person into the terrific life lived close to maximum human potential. The early part of this search was attached to understanding what happened to Pete but it broadened into a general question of how we all could transcend the pitfalls of self-deprecation that consign us to living a life much smaller than we were designed to experience. At first, not much appeared to be happening in response to this question. Then some clues began to emerge. The spiritual states I experienced at The Monroe Institute confirmed that indeed the universe was grandly loving and available to help us. And the Hemi-Sync technology and inspired programs at TMI suggested that this shift in perspective to knowing that love abounds without limit was available without regard to previous beliefs and could be accessed without need to adopt any new dogma. Then something happened for me that triggered insight into how to link our amazing-ness in spirit form to creating amazing lives while we are embodied here on this challenging planet. I discovered psycho­kinesis. In 1992, I began to investigate psychokinesis (PK), which is the ability to influence matter through non-physical means. PK can be used to illuminate light bulbs, bend metal and plastic, sprout seeds in your hand in minutes, influence computers, dice, and slot machines, and create healing and abundance—all just using the power of your human energy in a special way. Being able to do these things is incred­ibly exciting to me! Another great thing about PK is that it can be measured scientifically and results can be shown, often immediately, giving ultra clear feedback that “something important is happening.” My book, Inner Vegas: Creating Miracles, Abundance and Healthdescribes in detail my journey of discovery of PK, verification of PK in university laboratories, and the application of energy to influence physical reality in my own life, and then with my students. By the start of college I was familiar with books that discussed abundance creation, including Norman Vincent Peale’s The Power of Positive Thinking, first published in 1952, Think and Grow Rich by Napo­leon Hill, first published in 1937, and Esther and Jerry Hicks’ The Law of Attraction, recently popularized by the film, The Secret. In fact, these types of books go back at least to middle Egyptian dynasty times, in a work called the Kybalion. But for me all of this usually produced only weak or mixed results most of the time, until the study and practice of PK lit a fire under me by suggesting how to actually raise and focus the right kind of energy for results that often can seem miraculous. With the discovery and exploration of PK and its application as a training tool I found the antidote, if you will, to the fear and limits which bind most of us to living a life that is restricted in some way. We may be great at finances but experience limits in relationships or health. Or we many have difficulty finding “right livelihood”—that occupa­tion that fires up our passion and creativity and benefits the world. This antidote is also a great way to divert energy away from suicide, anxiety, and depression into a positive and thrilling direction. Now things began to flow with an inner lightness and with clear guidance on what was the next step—the main thing required from me was showing up and trusting the process. The next most important thing was to love myself enough to not overdo and take time from a busy schedule to rest, laugh, and enjoy the beauty that surrounds us. In all my workshops and meditation CDs I talk about applying the energy of the heart. Going back to PK, but also true of manifesta­tion and healing, many define PK as affecting matter with your mind. This principle is often promoted in manifestation work as “Just visual­ize it and you will make it so.” I think this emphasis on the mind is a disservice to those who are attempting to create new more positive patterns in their lives. To me, the mind is important but more like the steering wheel of the car, setting direction or intent. But the car goes nowhere without fuel, and the most excellent fuel for this work is the energy of love or of an open heart. The focus on energy and how to generate it in ample quantities, and in a positive psychological and spiritual way, is what is missing in much manifestation instruction. When we don’t positively influence our lives and, even worse, tend to manifest the exact opposite of what we want on a regular basis, we need to look at what would cause such a distortion in our life path and the consequent suffering it produces for us and those around us. We are not being tortured by some vengeful god but rather the playing out of the formidable energy of fear coupled with limiting beliefs. It does appear that we live in a free choice universe where we are free to think and feel negatively or positively. But the way we think and feel tends to become fairly habitual and when we do this consistently in one direction, that direction, whether negative or positive, begins to manifest and reinforce that particular direction. It was clear from my brother’s experience that it is not sufficient to be a good person, one must also feel deserving of receiving goodness, learn to alleviate fear, and to be in positive energy. It seems that most people actively try to influence their lives in a positive direction by applying things such as study, hard work, and hope to goals that they would like to achieve. But there is often a good bit of fear mixed in that they perhaps will not get the break, or are not good enough. This often results in a life with a mixture of good and bad things happening. This seems to lie near the center of the continuum of those who seem to be naturally lucky people, to folks where most everything seems to go wrong. When we look more closely at each of the opposite ends of the spectrum, and see the internal pattern of thought and emotion associated with them, this can guide us in the direction that we want to go. It can be tempting to feel powerless and that things just happen out of our control. It can seem a bit intimidat­ing to embrace responsibility for the main direction of our lives. Most people are hampered to a greater or lesser degree by their fears, limiting thinking, and lack of quality heart energy. It is possible to make a great deal of money “on the backs of others” but this tends to come at a great personal cost in other impor­tant areas of abundance, such as happiness, health, nurturing relation­ships, and spiritual progress. I am advocating here for finding true abundance in all areas, including graceful ways to respond to life’s challenges that can indeed be traumatic and tempt us to be demoral­ized. And most importantly, it is vital to be compassionate and pas­sionate about helping others find their joy as well. The tools I have designed are, in Pete’s terms, “to increase your wattage.” This is so because they tend to reduce fear and increase our flow of love. There indeed are a wealth of tools from many sources now available in the form of books, seminars, online classes, commu­nity support groups, etc. My hope is that more and more of us will connect with what we find to be empowering to move our individual lives and collective evolution forward. Also, these tools are best used holistically, meaning as part of a program that nurtures body, mind, and soul. In times of great personal challenge, physical healing and psychotherapy can be beneficial. Always, a great diet of organic food, plenty of fresh air and exercise, volunteering to help others, and posi­tive fellowship serve to clear and raise our energy. It is very helpful when working to increase abundance to realize and celebrate all the abundance that is already in your life, ready for your enjoyment. Just this morning, as I was editing this book on my screen porch, I looked up at the early morning sun streaming softly through the woods. What a beautiful view! I then realized that if I moved even an inch to the right or left, up or down, or closer or far­ther, that I was graced with a slightly different view. If in fact you are blessed with vision (meaning the physical capacity to see and an inner openness to perception) there are quadrillions of different beautiful views available on this planet in each moment, some as sweeping as the Grand Canyon and others as simple as a raindrop hanging off a mail box. And these views all change slightly with each second, min­ute, hour, day, month, and year, providing an infinity of beauty avail­able to each of us throughout our lives, as we also change moment to moment. That is true abundance! Add to this all the sensations, feel­ings, and insights produced by music, animals, good food, laughter, and so many other experiences, and there is really an infinity times infinity of riches here on this planet. What a privilege to be alive here! 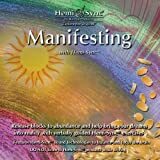 What Are We Manifesting and Why? I feel it is very important to understand how we manifest our indi­vidual and collective lives because at this time there is a high degree of fear in our world that is pulling us toward manifesting a very negative world future. For example, because of fear of terrorism now, we see our privacy rights in the U.S. being diminished where much of what we do is monitored and we can be abducted without charges or legal rep­resentation to an unknown place for an unlimited time in the name of Homeland Security. The fear generated by the threat of terrorism has created an overkill response that takes away the freedom, privacy, and important rights of all our citizens. This shift has been dramatic. When I traveled in Europe pre-9/11, there was a palpable apprecia­tion and desire for the “American” way of life. Now when I travel there, folks respectfully take me aside and express concern that the American dream is dying in the United States. And Europeans report fear of com­ing to visit what they see now as the American police state, particularly if they have experienced firsthand, the entry process for foreign visitors established at our borders after 9/11. This distortion caused by fear saddens me deeply—the actual facts are that an average of six people a year have died in foreign terror attacks on U.S. soil in the past ten years (2004-2014). This is in contrast to an estimated 400,000 per year dying from medical mistakes and tens of thousands in car accidents and gun incidences. So we need to keep perspective. I also see the immense reserve of good will, creativity, and love of freedom that exists in the United States and know we can get back on track if we can get our fear under control. I write this paragraph while the United States in the midst the 2016 presidential elections and fear is flying its flag high. Healing starts with the majority of us individually getting our own fear under control and beginning to envision a positive future. I used to try to meet fear with courage, now I melt fear with love. My new mantra is, “Fear is expensive, love is priceless, choose wisely!” Someone was kind enough to put my saying on a wooden sign and gift it to me. I placed the sign on the wall of my office where I see it many times a day. This is good because I need to be reminded of it often. From my point of view, we very much need to understand how we create our reality and master the tools needed for creating a positive future at this tipping point in our society. Published by Rainbow Ridge Books. Joe shares how the family crisis of his brother's suicide challenged him for over twenty years. He describes his own struggles with depression, and of how he rose from grief and made it his life's work to help other people live their lives to their fullest potential. He shares the tools he has created to move people from sadness and limitation into abundance and joy. Dr. Joe Gallenberger is a clinical psychologist with over 30 years experience. A dynamic, heart-driven speaker, Dr. Gallenberger is in demand internationally on topics such as psychokinesis, energy healing, and manifestation. He is a senior facilitator at the Monroe Institute and created its highly successful MC2 program. He developed SyncCreation®: a Home Study Course in Manifestation, and he teaches his Inner Vegas Adventure™ workshops in Las Vegas. Visit his websites at SyncCreation.com and InnerVegas.com. Can You Learn Life Lessons by Playing Dice?